3. 32 64 bit DVDs included full version.pack and cd language: English. 5 Accepting more kinds of COA customize for you if needed, provide good quality and discount software sales. We are your best chooice for microsoft utility software supplier, Adobe graphic software factory, Microsoft windows and office software on sales. 6. 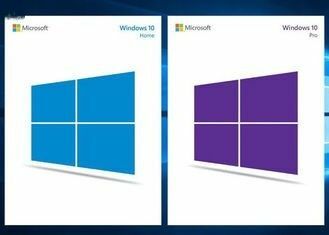 We also have Windows 10 pro fessionaEnglish / French / German / Russian / Turkish / Spanish / Italian / Portuguese / Polish language version.If you want to buy,please contact us now. This is a Brand New, Unused Windows 10 Professional 64 Bit DVD (as pictured), complete with a Brand New, Unused Genuine License COA Sticker Key. You can use this for clean installations, upgrades and win 10 repairs. This product is hot-selling at Flyingent Technology International exclusively!!! Tell us more information about your need if possible, including your quantity. We accept WU, Money Gram and T/T. PayPal or credit card. Usually within 1 day after payment. Once you have problems in activation with our keys, you can get us by email or Skype within 24 hours. Do not share the keys. Overused ones won't get warranty.